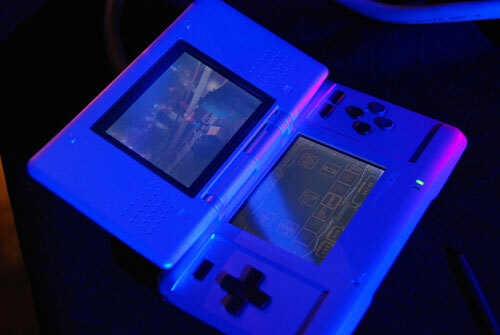 GDC09: Apogee Previews Duke Nukem For PSP And DS | OhGizmo! 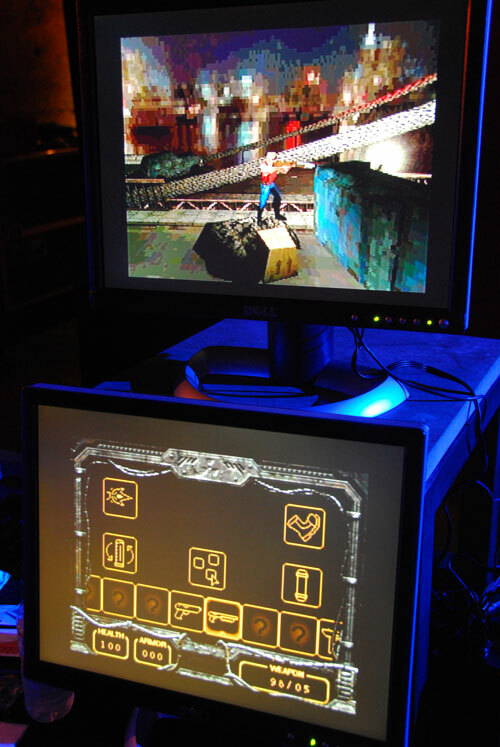 I stopped by the 2009 Game Developer’s Conference here in San Francisco last night to check out the latest and greatest in gaming hardware and software, and of course the biggest news that there could possibly be is the imminent release of a new Duke Nukem game. And this time, it’s for real. How do I know it’s for real? Because it’s not Duke Nukem Forever, which is the game you really want to see. Instead, Apogee is releasing six (!) new Duke Nukem games for the Sony PSP and Nintendo DS. 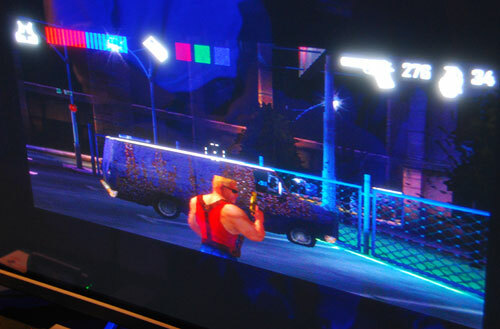 Actually, there are sort of only really three games… Here’s the deal: there’s going to be a trilogy of new games: Duke Nukem Critical Mass, Duke Nukem Chain Reaction, and Duke Nukem Proving Grounds. Critical Mass (which we saw a demo of) is somewhere in between alpha and pre-alpha. The other two will be continuations of that plot, and will come out at some “reasonable time” after the first one. While there are two separate games designed for two separate platforms, the storyline is the same, it’s just the style that’s different, so you’re not really missing anything by just playing the games on one platform. More on the games themselves, after the jump. The games should have about 36 levels, for 12+ hours of gameplay. Each will have a complete soundtrack plus voiceovers, and you can start looking for the first one sometime towards the end of 2009. Cool!!! I want this now!!! 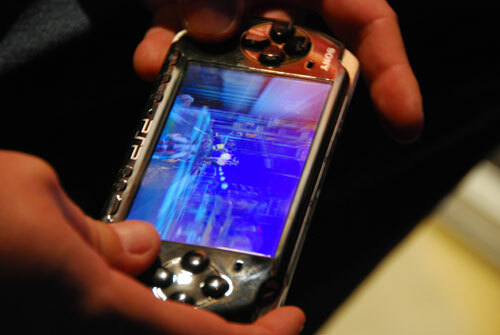 can not wait duke on my psp yup i want some!